Stop me if you’ve heard this one before. The new BlackBerry is lighter than its older sibling. It also has a smaller battery, less RAM, a weaker processor and is made out of cheaper materials. 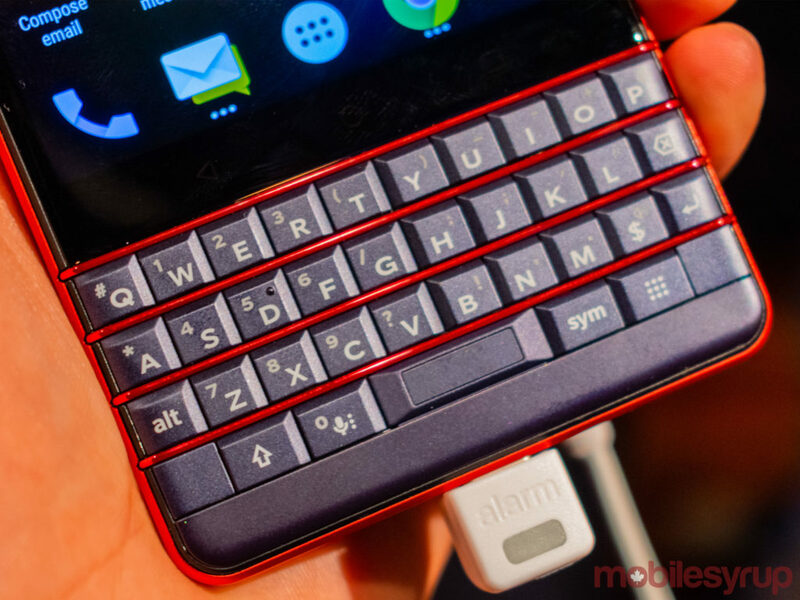 In all other respects, however, this new device is undeniably a BlackBerry. No, it’s not 2007 and no, TCL-owned BlackBerry Mobile hasn’t released a formal update to the incredibly popular Curve series of smartphones. Still, it’s tough not to think of the new and awkwardly named BlackBerry KEY2 LE as the successor to Research In Motion’s Curve devices. 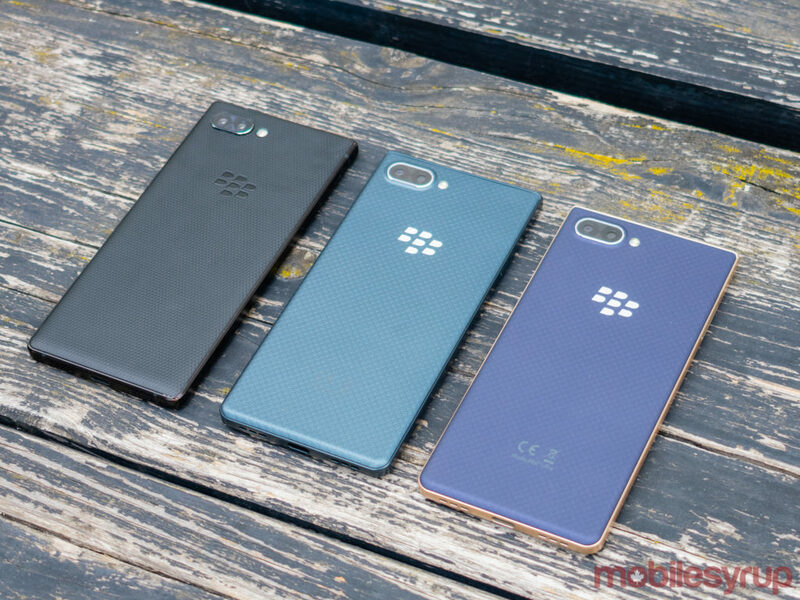 Both devices represent cheaper alternatives to more powerful BlackBerries and are designed to fill the mid-range niche created by the presence of a bigger, better BlackBerry. 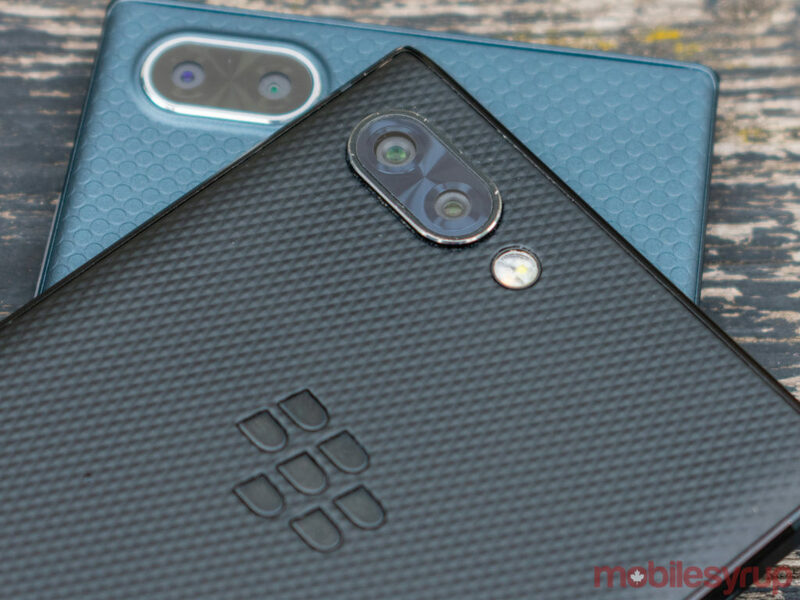 Moreover, like the Curve during its time, the $519 and $599 price tag for the 32GB and 64GB models, respectively, means that the new KEY2 LE is far more reasonably priced than the $830 BlackBerry KEY2. 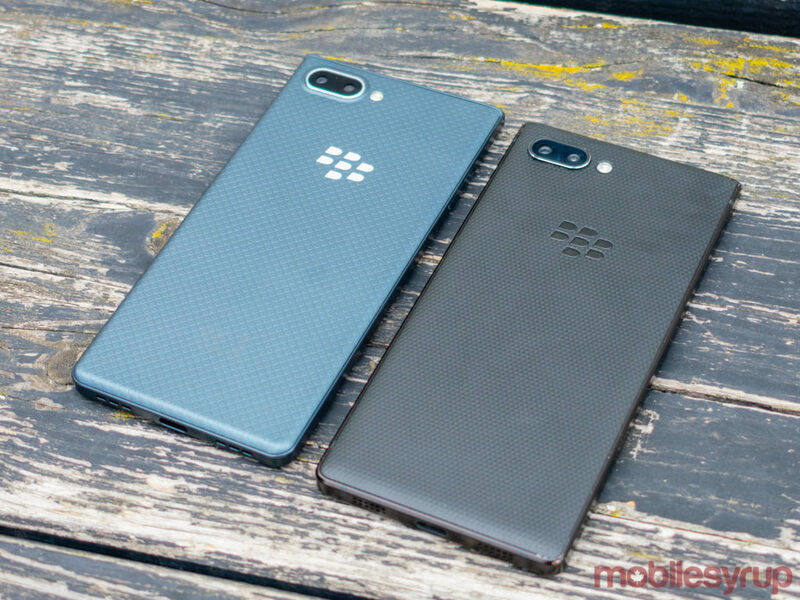 At first glance, the BlackBerry KEY2 LE is almost indistinguishable from the original KEY2 smartphone. To begin with, the KEY2 LE features the same 4.5-inch IPS LCD display with 1080 x 1620 pixel resolution as the KEY2. Additionally, the KEY2 LE features a similar overall design language as the KEY2. There’s a Speed Key, a Convenience Key, a fingerprint sensor embedded into the spacebar, as well as a dual-camera setup. A ‘Slate’ KEY2 LE (left) next to a black KEY2 (right). Unlike the KEY2, the KEY2 LE comes with 4GB of RAM, rather than 6GB; a smaller 3,000mAh battery rather than a 3,500mAh battery; a weaker Qualcomm Snapdragon 636 compared to the KEY2’s Snapdragon 660; as well as a dual-camera setup comprised of a 13-megapixel shooter and a 5-megapixel shooter rather than two 12-megapixel shooters. Having not had very much time to test the BlackBerry KEY2 LE’s camera, it’s tough to comment on the quality of the photos and images produced by BlackBerry Mobile’s latest smartphone. That being said, the BlackBerry KEY2’s camera wasn’t especially impressive, so users shouldn’t expect photographic miracles with the new KEY2 LE. The device will likely shoot passable photos. BlackBerry KEY2 cameras (top) compared to BlackBerry KEY2 LE cameras (bottom). Additionally, while the KEY2 LE’s keys are larger than those found on the BlackBerry KEYOne, the KEY2 LE’s are only 10 percent larger, rather than 20 percent larger like on the KEY2. The keys on the KEY2 LE are also not capacitive. This means that users won’t be able to use the KEY2 LE’s keyboard to scroll through documents, messages and webpages. For some, this will be a sorely missed feature. For others, like me, it won’t make a difference. What’s not been removed, however, is the KEY2’s Speed Key. 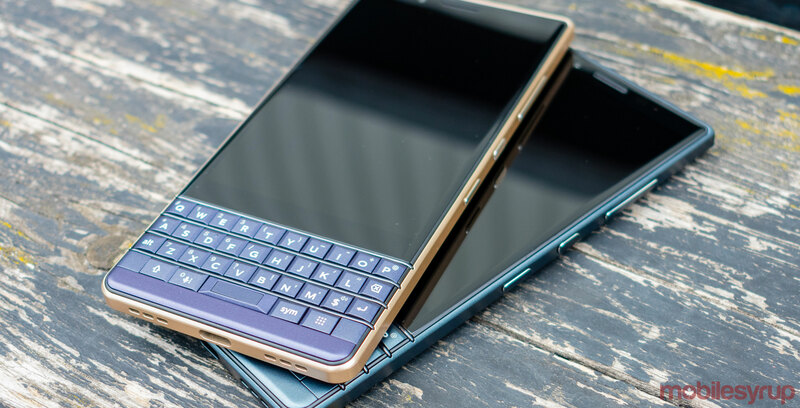 Just like with its older sibling, users will be able to map all of the KEY2 LE’s 35 physical keys to enable shortcut access to a variety of different apps and functions. The KEY2 LE’s frame is also made of polycarbonate, rather than the KEY2’s aluminum, which lends the phone a lighter feel. TCL also chose to smoothen out the edges on the KEY2 LE’s frame, making it a more comfortable device to hold than the KEY2. 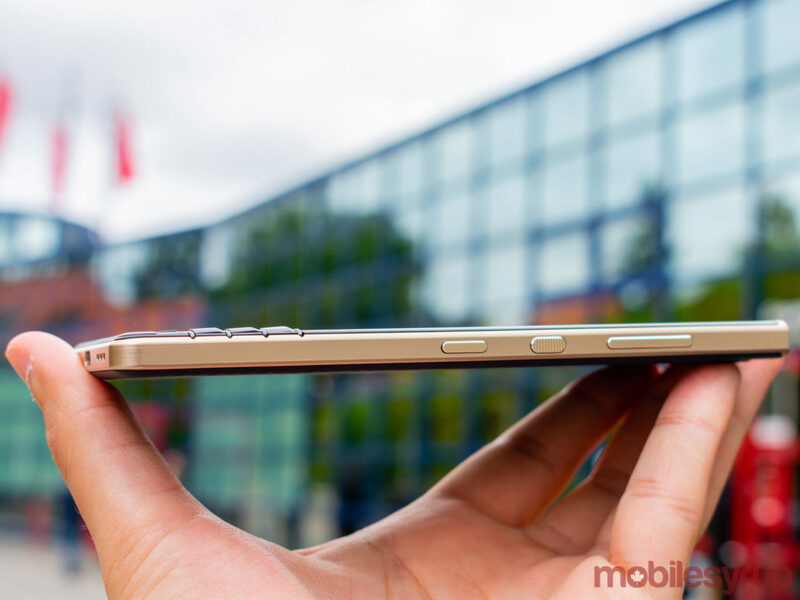 That shift from metal to plastic is what makes the BlackBerry KEY2 LE so reminiscent of the Curve. Yes, plastic was used in the construction of both the BlackBerry Bold and the BlackBerry Curve, but the Curve’s plastic made it feel like a cheaper device than the Bold — much like the KEY2 LE’s plastic makes it feel like a cheaper device than the KEY2. I should be clear: it’s not that the KEY2 LE feels like a cheap phone. It’s just that it feels less premium than its KEY2 sibling. 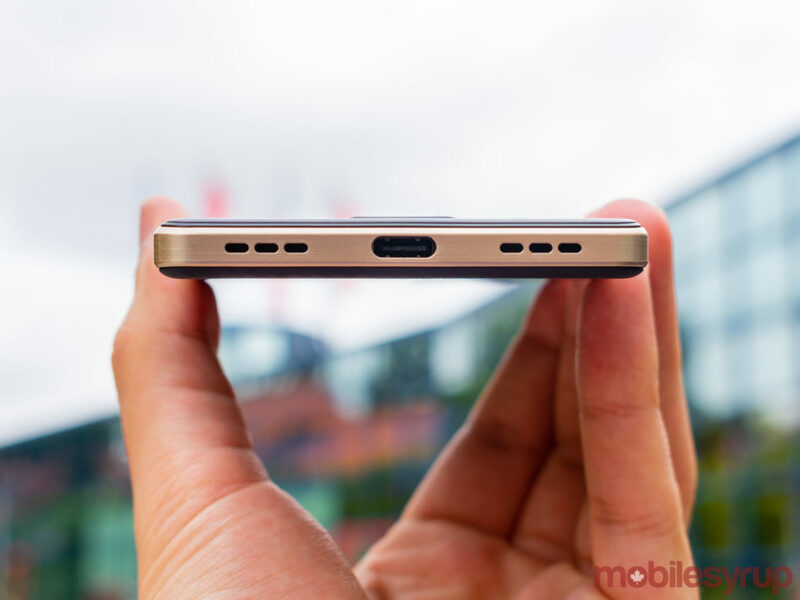 The KEY2 LE is also approximately one millimetre shorter than the BlackBerry KEY2. This is a difference so minor that it took a TCL executive placing the two devices side-by-side to convince me. Truth be told, I’m still not entirely sure I’m convinced. While TCL calls it Atomic, the rest of the world will no doubt describe this particular colour for what it is: red. It’s certainly a striking phone, but TCL wouldn’t divulge whether Canadians will be able to buy the phone in this colour once the KEY2 LE eventually launches in the Great White North. In terms of the overall software experience, TCL hasn’t introduced any substantially drastic changes to the BlackBerry KEY2 LE. Perhaps the most notable new software tweak is the ability to activate the Google Assistant and Google Lens by long-pressing and double-tapping the Convenience Key, respectively. As a person who’s never especially relied on the BlackBerry Convenience Key to launch apps, I’m certain that I’ll find this new feature quite useful. For others who prefer to map the Convenience Key to launch an app or perform an action, there’s no need to worry. The Convenience Key can still be programmed for user convenience. The KEY2 LE can also clone certain social media apps, like Instagram, to allow users to set up personal and professional accounts. It’s worth noting that Instagram already lets users sign in to multiple accounts using a single app, so the utility of this particular feature isn’t immediately clear. Additionally, KEY2 users shouldn’t feel left out. TCL executives at the IFA 2018 conference in Berlin, Germany were quite clear that any new software features set to launch on the KEY2 LE will eventually arrive on the KEY2 through an over-the-air software update sometime in the future. Also coming to both the KEY2 and the KEY2 LE is an eventual update to Android 9 Pie. 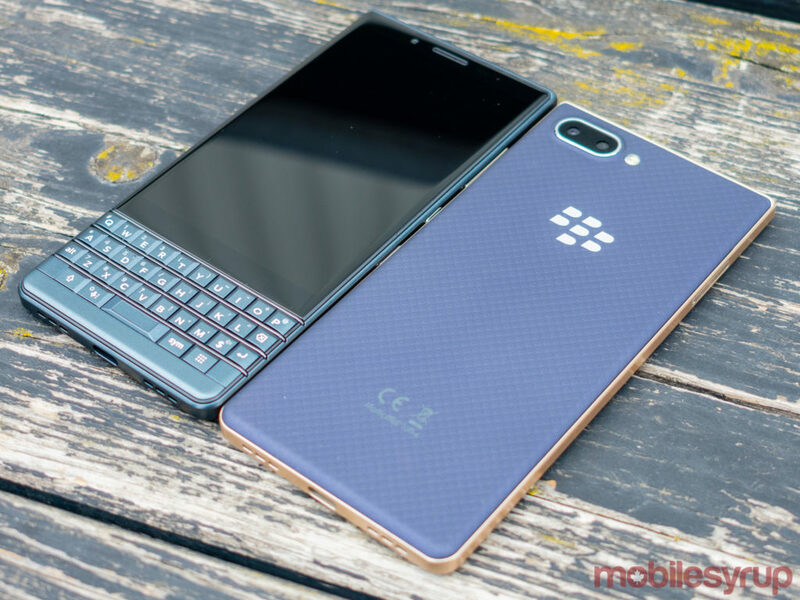 TCL wasn’t forthcoming about when users can expect the update to Google’s latest version of Android, just that all versions of the KEY2 and the KEY2 LE will eventually receive the update. According to an August 30th, 2018 media release, the BlackBerry KEY2 LE will cost $519 for the 32GB model and $599 for the 64GB model.